So you only have a small workout area without room for a power rack / squat rack. Here’s what you can do and what you can expect. Back squats are the #1 most common power rack exercise. Presumably that’s what you will have to give up. And you’d be right. Heavy back squats aren’t easily doable if you can’t get the bar in a good starting position. Just to be clear, back squats are conventional squats, where you have the bar on your shoulders behind your neck rather than on your shoulders in front of your neck as in the style of olympic weightlifters. Front squats are an alternative you can do with the bar on the floor. Clean the bar into position and you’re ready to go, as Josh shows in the video. Here’s Josh McClelland of Critical Bench demonstrating. Note he moves it to back squat position easily enough, proving me wrong, but you know, you’re going to have a harder time doing that safely with heavier weight. The last thing you want to do is pop it up over your head, hit your shoulders too hard, hurt your back, and go falling forward with the barbell coming down on top of you and nothing to catch it. So it’s best to only do this type of thing with front squats. especially if you’re new at the movement and don’t have the dexterity to do the pop over your head consistently 100% of the time. The disadvantage of relying on cleaning the bar into position for front squats is your front squats will be limited at some point by the amount you can clean. Secondly, even if you can clean it into position, you just blew your strength. In my case, I would have to also wait a moment as my vision comes back after partially blacking out before I’m ready to do any more squats beyond the first one in the clean. I get that partial blackout from heavy deadlifts and cleans. Bottom line, that’s a lot to go through for heavy squats, and you’re not going to have as much left in the tank and push yourself to new PRs as you would if you could lift it off a rack. For a while, though, depending on your strengths, you might do ok with this and not feel terribly limited. Personally I prefer front squats anyway because they don’t put so much stress on my upper spine. I have upper back issues, and I like the better posture involved in front squats. I prefer them whether I have a rack available or not. Back squats are still more popular in powerlifting and bodybuilding environments, whereas front squats are a normal part of olympic lifts and are therefore a little more common for Crossfit or other functional training styles. You don’t even necessarily have to do squats. Lunges are awesome, and you can do those with dumbbells or in front squat position. You will have to go lighter on lunges (it’s mostly one leg, after all) and you won’t be so limited by how much you can clean. Ok, enough about legs. The other big exercise you’ll be missing out on is bench presses. Dumbbell presses are a good alternative. For me, again, I’m not into bench pressing and only do some overhead pressing and kettlebell work, so I don’t need a rack. 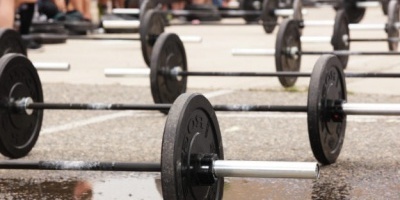 Overhead presses are more of a “functional” / real world exercise than bench presses anyway. Your overhead press is probably significantly lower than your clean max weight, and like lunges you won’t be limited to such an extent without a rack as you are with front squats. Pull ups are one rack exercise that might be an issue. Most racks include a pull up bar. There are lots of wall or door mounted ones, or you can mount gymnastics rings if you have a high ceiling. Rings can be better than a lot of power racks if you do have a high ceiling, with the way you can mount them higher so that your feet don’t touch the ground during pullups and you can get a full range of motion without bending your knees, and even learn to do kipping pull ups and have a ready-made dip station as well by lowering the rings a few feet for ring dips. That’s it for some basic exercises. You can still do tons of other exercises that don’t require a rack at all. Tricep extensions, curls, push ups, sit ups, etc. Then there’s kettlebell routines, where all you need is a small set of kettlebells! 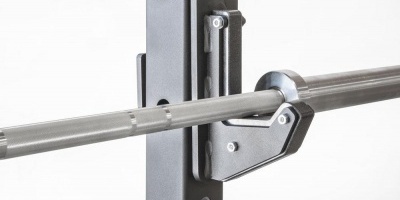 If the expense of a power rack is the main issue for you, check out our review of the Titan T-2 power rack for a budget-friendly rack that is easily the biggest bang for the buck.